The condition of our skin can have a drastic effect on how we look and feel. And while many of seek naturally radiant skin, the natural aging process, along with lifestyle, habits and climate can cause skin to appear dull, lifeless and rough. This in turn can add years onto a person’s face, as well as give an unhealthy appearance. But at London City Smiles, we have a wonderful treatment to combat these issues with the Obagi Blue Peel RADIANCE. This treatment is a gentle exfoliating peel that is applied to the face with superficial and gentle exfoliation to improve the overall texture and radiance in a matter of minutes. After the recommended four to six sessions, you will see optimal results with radiant and bright skin that has a stunning youthful glow. 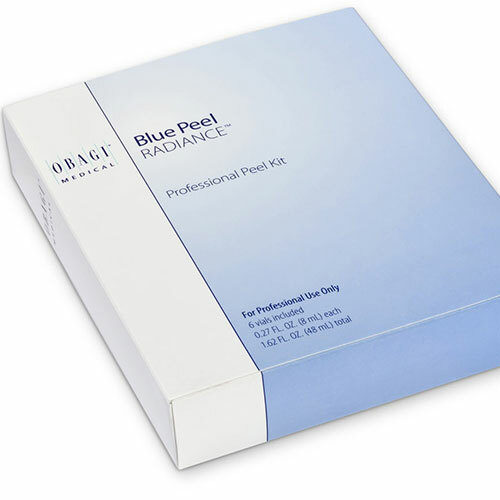 Obagi Blue Peel RADIANCE is especially beneficial to those with darker skin, who want to address concerns about pigmentation changes. As a professional skin peel treatment it should only be applied by trained medical/skin care specialists at our clinics to ensure the correct use and maximum radiant results. When it comes to using the Obagi Blue Peel RADIANCE therapy, you’ll find it a highly effective treatment to combat dull and rough skin, along with pigmentation changes. It works to remove damaged or dead skin cells and bring back a natural glow. If you like the sound of radiant and youthful looking skin with minimal downtime and a non-surgical procedure, contact London City Smiles today for more information on the Obagi Blue Peel RADIANCE system.